How to drink alcohol around kids so they do not binge drink later. 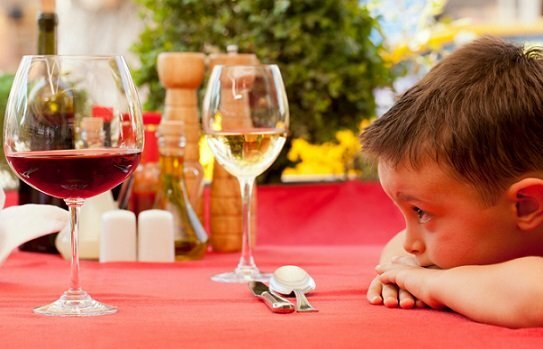 "I'm worried my children will be future binge drinkers." When it came to alcohol, there’s one important thing my parents didn’t do. I’ve never been a big drinker and it’s all because of what my parents did when I was a kid, or should I say it’s all about what they DIDN’T do. My parents drank alcohol often, but it was just presented as another drink on the table, next to the lemonade and the water. It was just there. They didn’t make a big deal out of it. Alcohol in my family was never treasured or revered. It was just consumed with meals like any other beverage and not everyday. They let my siblings and I try it if we wanted to and laughed when we grimaced and made faces over the taste of it. They never restricted us from trying it if we wanted. And there’s one more key thing they did, or didn’t do, that helped my siblings and I develop a healthy relationship with alcohol. My parents never used alcohol as a mood altering drug. They never drank wine to ‘relax’ or drank beer to ‘celebrate’. In my family the mood altering drug was always food. Alcohol was just another beverage. The key to raising responsible drinkers is in their upbringing. We&apos;re Italian and this sort of upbringing is typical of our culture. We did occasionally make wine with relatives. We popped the occasional bottle of champagne to celebrate. But it just wasn&apos;t a big deal. What I noticed about my friends who are big drinkers is that alcohol is a big deal. They plan their lives around it, they zero in on it at functions. They did the whole binge drinking thing as teens. They drank alcohol with the sole purpose of getting drunk. 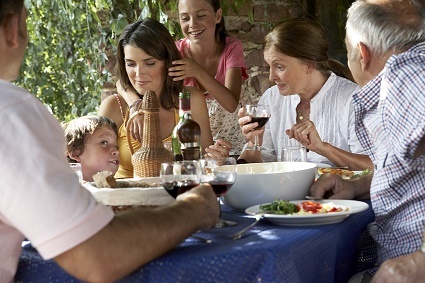 Experts have recommended talking to kids as young as nine-years-old about alcohol. Dr Toby Freeman from the National Centre for Education and Training on Addiction at Flinders University in Adelaide told ninemsn.com.au, "By the time most Australian teenagers reach 14 years of age more than half, about 55 per cent, have already had a full drink." I can&apos;t recall one occasion where I saw my parents drunk. I look at my kids, and wonder if I do the same as my parents, will it avoid them going down the teen drinking path? I know alcohol is a personal thing and many parents see their glass of wine or bottle of beer as their right, as their reward for a hard day. But does that send the wrong message to kids? It&apos;s Schoolies time and there are a lot of nervous parents waiting to hear from their teens. Maybe if we steer our children away from &apos;getting hammered&apos; and more towards activities like enjoying an awesome BBQ or finding a great restaurant in which to share a meal, we might just help keep our teens safer. At least that&apos;s what I hope for my kids. How do you teach your children about alcohol? Alcohol makes me a better mum. The day I was forced to choose between alcohol and my family.